While it may not seem as common as other Australia based essential oils, lemon myrtle essential oil has many of the same benefits. It is host to a number of substances which are extremely useful in keeping your home and body healthy. The benefits and uses of lemon myrtle essential oil are comparable to those of other oils such as tea tree, especially in regards to its effects on viruses and bacteria. Mix a few drops of this oil with vinegar and tea tree to create a spray that will disinfect surfaces anywhere in your house. Diffusing in the air should kill any airborne bacteria which may cause seasonal allergies and respiratory distress. Along with powerful antibacterial properties, lemon myrtle oil has also been shown to have antifungal properties as well. (2) This is helpful in the preservation of foods that are prone to fungal infections, and lemon myrtle has been used as a natural preservative. Someone who suffers from repeated fungal infections such as athlete’s foot may find a rub of lemon myrtle oil and a carrier oil may help reduce incidences of the infection or even prevent it all together. It may also be helpful in treating in a candida overgrowth in the body as well. Add a few drops of lemon myrtle oil to some witch hazel to treat breakouts. The witch hazel will help shrink pores and help keep further breakouts from occurring. Treating the infection may even prevent further scarring. When choosing a mood-lifting mix, lemon myrtle essential oil blends well with other citrus smelling oils such as orange or lemon. Using these scents in your diffuser may help relax your tension and lift your mood. Mixing with a carrier oil, apply a topical solution of lemon myrtle to the Mollusca daily until they shrink or go away. Since it is a virus, the oil does not cure the virus but alleviates the symptoms that are found with and allows the body to heal properly. You can make a soothing massage oil by mixing three or four drops of lemon myrtle essential oil with an ounce or two of your carrier oil. Massage this mixture into your joints or any inflamed areas. If you have access to fresh lemon myrtle, pick a few leaves and drop them in boiling water and let them seep to make an anti-inflammatory tea. It started as just a couple of bumps on my son’s skin. Round and shiny, I thought they were a bug bite for a while until it began to spread across his entire abdomen. Then the bumps began to appear on his knees and hands. They weren’t really painful, but they could be irritated by his clothing. The doctor said it was a viral infection called molluscum contagiosum and there was really no way to treat it effectively. It is also easily spread among children, usually by sharing bathwater and towels. All research on the internet agreed with him. Most recommended waiting it out, but it could take years for the infection to clear without intervention. However, all recommended courses included abrading the skin with something, usually a pumice stone, so the body would begin to heal itself and fight against the Mollusca infection. It took trying this once, and my son’s resultant tears, to try any other alternative. Further research revealed that while not 100% guaranteed, application of lemon myrtle oil had been shown to reduce Mollusca by up to 90% when it did work. With nothing else to try, I added a few drops to water and applied to the largest bumps on his belly. It wasn’t a fast solution, but the bumps were reduced in size and eventually disappeared. There were no further bumps that developed. Anyone looking to reduce the number of chemicals in their household would love to have the time to make their own natural soap, but finding a bar that is already made and uses an oil with multiple benefits is a close second. Produced with shea butter to prevent drying of the skin, this soap promises a rich lather and can be long-lasting if stored properly. Using lemon myrtle on your skin should help prevent body acne and prevent odor caused by bacteria. 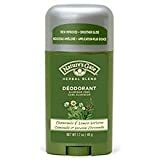 I have always had trouble finding a deodorant that worked for me but wasn’t comprised of so many chemicals that my skin would be irritated within a couple uses. This deodorant can help control odor by preventing the formation of odor-causing bacteria under the arms. It is not an antiperspirant but can help cover the smell created by sweat with natural ingredients. Do not use lemon myrtle oil if already taking sedatives as there may be an increase in sedative effect. May cause dehydration due to the diuretic effect. Be sure to consume plenty of water. Always use a therapeutic grade of oil to prevent any interactions. Be sure to dilute the oil in water or carrier oil to prevent skin irritation which may be caused by a reaction to the citral component of the oil.